With the atmosphere and flavors of a traditional Irish Pub, Finnerty’s Tap Room in Ellicottville, NY brings unique entertainment, worldly pub food, and an extraordinary local draft list. Whether you’re looking to watch a live sporting event on one of our many high definition TV’s or just looking to grab a pint and a sandwich after a hard days work, FTR will make you feel welcome at any visit which is the definition of Irish hospitality. Whatever your passion, we hope you meet some new friends, share our joy in serving you, and leave with a little piece of Ellicottville in your heart. We sincerely want you to think of our pub and its unique experience as your home away from home. Make our place, your place. Here, there are no strangers, only friends you haven’t met. So stop in and bring your friends to celebrate any occasion, a birthday, a wedding, winning a big game – or just to celebrate life. AND MANY MORE THAT CHANGE WITH THE SEASONS! 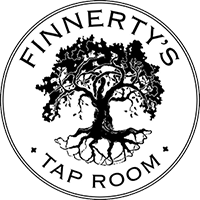 Check us out on Facebook to get the latest news about Finnerty's Tap Room!